Check out the health of benefits of yogurt. With all the latest and greatest food trends it can be hard to keep up with what’s hot and what’s not. However, yogurt has consistently been a staple in people’s diets around the world. In fact, the earliest reports of yogurt consumption date back to nearly 5,000 B.C.E. 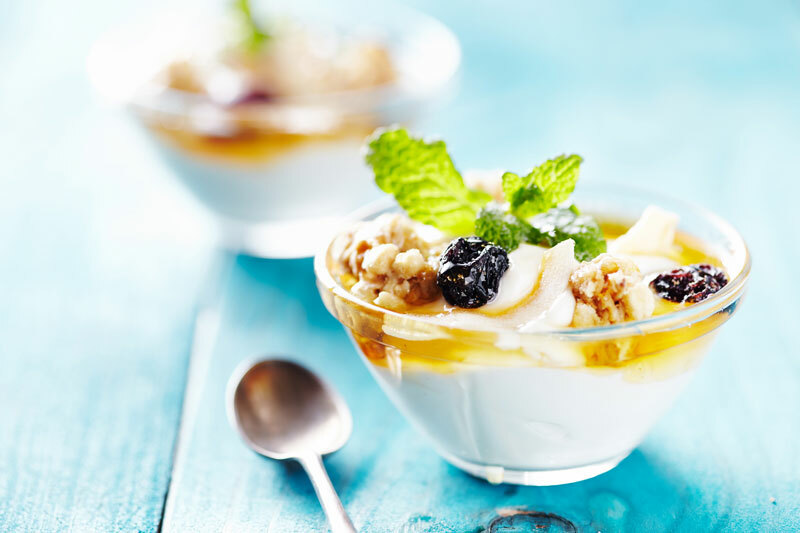 Not only is yogurt delicious, but yogurt is also beneficial to your health. Check out these facts about yogurt and its effects on your health. Yogurt improves your gastrointestinal health. This tasty snack food is loaded with tons active cultures or good bacteria that alter your intestinal flora. The Lactobacillus bulgaricus and Streptococcus thermophiles varieties of bacteria have been shown to help reduce gastrointestinal infections. Additionally, there have been reports that consumption of yogurt helps to boost your body’s immune system. Calcium and vitamin D contribute to building strong bones. Yogurt is full of vital nutrients that give you the building blocks you need to help support healthy bone growth. With calcium and vitamin D, your bones get what they need to stay strong and reduce your risk for osteoporosis. Yogurt gives you the protein that you need. Your body needs protein to function properly, especially when it comes to keeping your muscles healthy. Keep your yogurt selection low in fat and sugar, and high in protein by choosing a plain variety, or better yet Greek yogurt. That way you’re better able to optimize yogurt’s nutritional value. Your diet directly affects your health. Eat more yogurt so that you can stay as healthy as can be. For all your insurance needs, contact the professionals at The Schwab Agency, located in Colleyville, Texas.